Beverly Robertson, new President and CEO of the Greater Memphis Chamber, joins this week’s Behind the Headlines with host Eric Barnes and Daily Memphian reporter Bill Dries. Among the Chamber's top priorities, Robertson says, are economic growth and workforce development. As such, Robertson has been in Nashville recently, advocating for policies that add incentives and benefits for Memphis businesses. Robertson says there have been some misunderstandings about the working relationship between the Chamber, EDGE and the City of Memphis. But she says the three entities are "united" in attracting new business to the city. Creating more more training programs and internships in the Mid-South, Robertson says, is a key to getting local youth prepared for tomorrow's workforce. The Chamber is exploring these types of resources not just for young people, but adults and former criminals as well. 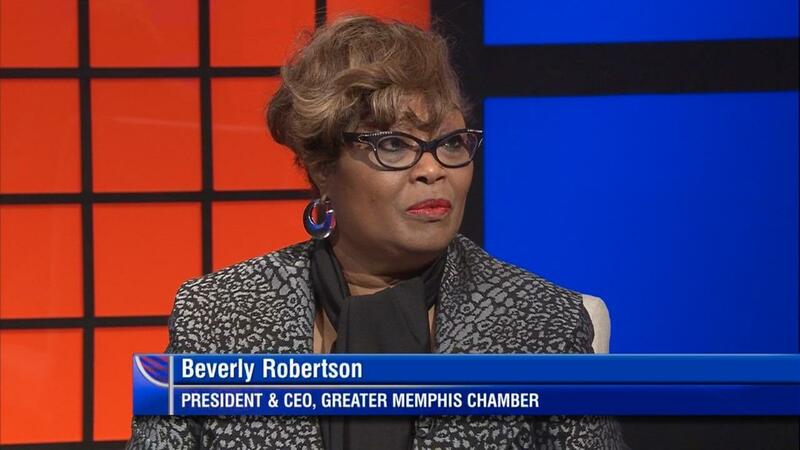 As this week's episode wraps up, Robertson weighs in on Confederate statues, pension funds, and what it means to be both the first woman and first African-American President of the Greater Memphis Chamber.